Every homeowner is grateful to have a roof over their head—unless you're dealing with leaks and shedding shingles. Here's how to find a reliable roofer that will get it right the first time. Worried your roof won’t make it through another season? 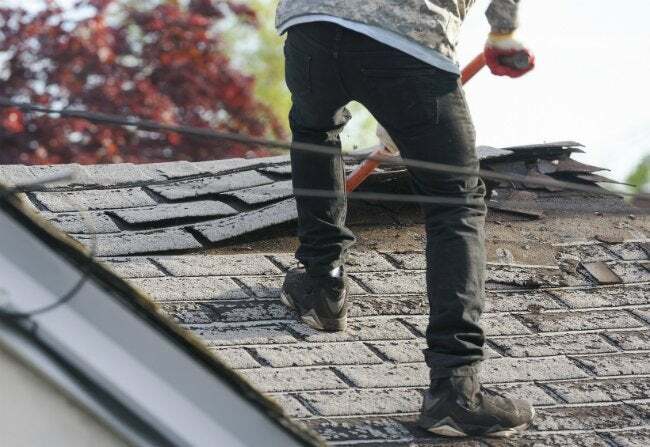 If you spot sagging, raised shingles, and ceiling leaks, you might be right. Before you sign that contract, make sure you’re dealing with a reputable contractor. First, take a closer look at the estimates you’ve already received. How comprehensive are they? Steer clear of roofers that give you a list of bullet points with important details missing. A careful review takes time, but it can save you thousands of dollars—and loads of grief. Make sure you know exactly what materials the contractor plans to use, too. Second-rate supplies may seem more budget-friendly, but you’ll pay for it later with additional repairs or early replacement. Don’t let your roofer talk you into nailing new shingles over the old ones. You’re better off inspecting the sheathing below and correcting any issues before moving forward. Finally, before you sign the contract, read it over so you understand any liabilities and warranties. If anything goes wrong on the job—or after the crew leaves—you’ll know exactly where you stand.